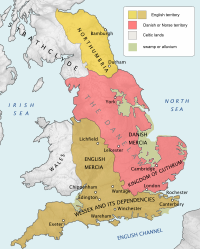 From 874–879 the western half of Mercia was ruled by Ceowulf II, who was succeeded by Æthelred. In 886/887 Æthelred married Alfred's daughter Æthelflæd. On Alfred's death in 899, his son Edward the Elder succeeded him. 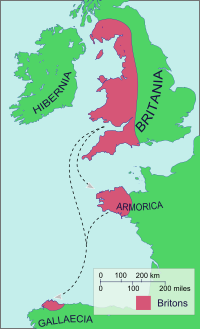 Edward and his grandsons Æthelstan, Edmund I, and Eadred, continued the policy of resistance against the Vikings. 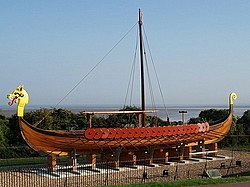 When Æthelred died in 911, his widow administered the Mercian province with the title "Lady of the Mercians". As commander of the Mercian army she worked with her brother, Edward the Elder, to win back the Mercian lands that were under Danish control. 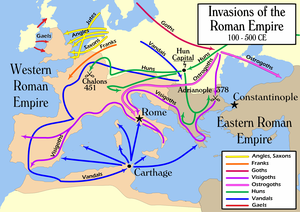 Edward and his successors expanded Alfred's network of fortified burhs, a key element of their strategy, enabling them to go on the offensive. 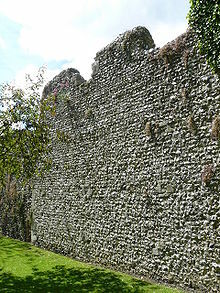 Edward recaptured Essex in 913. 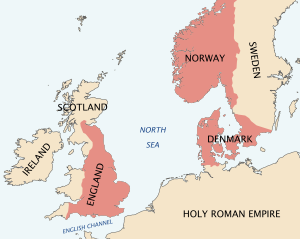 Edward's son, Æthelstan, annexed Northumbria and forced the kings of Wales to submit; at the Battle of Brunanburh in 937, he defeated an alliance of the Scots, Danes, and Vikings to become King of all England.